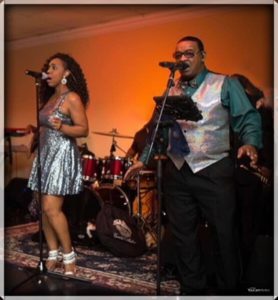 Escalade is a Very Fun and Entertaining Show and Dance Band from New Orleans that has dazzled and captivated audiences internationally and domestically. Escalade Show And Dance Band and Phz-2 Party Band present to you a High Energy Show dedicated to re-creating The Motown Revue made famous by Hitsville USA. Blend together the classics like Elvis. Sam Cooke. The Platters. Ben E. King. Then add some funky 80′s soul from Kool And The Gang and The Commodores. Then spice up the night with the Latin sounds of Tito Puente. Gloria Estefan. Ricky Martin. Celia Cruz and Marc Anthony. Then just for a minute let’s all do the bump into the 70′s with KC And The Sunshine Band. Gloria Gaynor. Barry White. Van McCoy. and Donna Summer. And don’t forget to go to back to where it all started at Motown with Diana Ross and The Supremes. The Jackson Five. Marvin Gaye. The Temptations. Martha And The Vandellas. Smokey Robinson And The Miracles. Mary Wells and The Four Tops. And you’ll be in the Soul Train line dancing to The Godfather of Soul Mr. James Brown! Hey! Hey! HEY! The Staff at Team Escalade will go the extra mile to work with you before, during, and after the planning of your event to guarantee that it will be SENSATIONAL! From the selection of music to the announcements. From sound and lighting to making sure that your guests hit the dance floor, we will bring your vision to life. Great harmony, very classy attire, flashy choreography and some of America’s finest Recording and Touring Musicians that will keep you dancing all night long. Escalade Show And Dance Band and Phz-2 Party Band will make your Event a SUCCESS! Our event specialties are: Corporate Entertainment. Private Parties. Weddings. Concerts and Festivals. Escalade Show And Dance Band and Phz-2 Party Band will make your Event A Night To Remember! Escalade Show And Dance Band and Phz-2 Party Band are listed among the Top Entertainers on Gigmasters. Wedding Wire. The Knot.